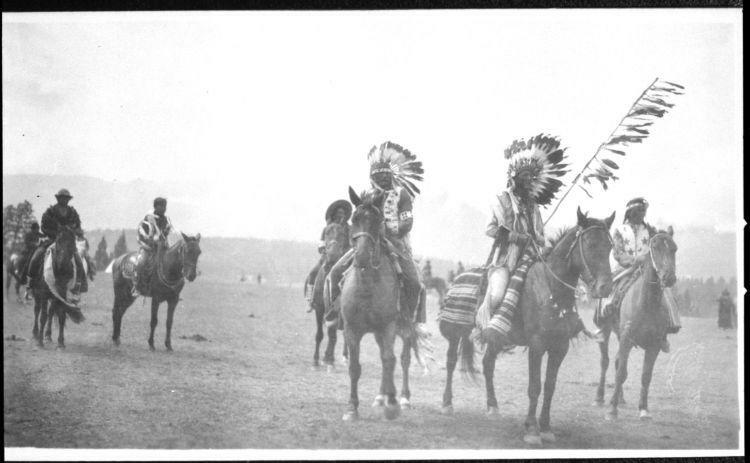 Several men wearing native clothing sit astride horses in a large open field. Mountains are visible in the distance. Copy print is blurry and overexposed on the top.